Estate Agent Pro - Suppliers of Estate agent software and estate agents software solutions. 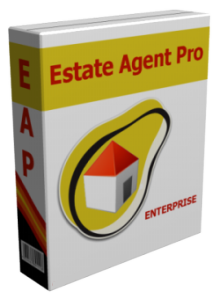 Estate Agent Pro Enterprise has more functionality and more suits the needs of professional estate agents than any other competitive estate agency software. Estate Agent Pro Enterprise takes care of mundane tasks allowing you to concentrate on the important aspects of running your business such as matching applicants to properties, communicating with clients, sales chasing, review clients, generation of property particulars and reporting. All of this and more are fully incorporated into our estate agent software package in an exciting and vibrant windows desktop application that allows you to keep working even if the internet is down. Estate Agent Pro automatically synchronises data between branches and free automatic uploads can be made to most portals including Rightmove, Zoopla and others. The single user Lite version of our software is free.